Originally forming a belt east of the Rocky Mountains from Montana and Saskatchewan south to the top of Mexico. Only scattered small populations remain. Head and body 11 to 15 inches long; tail 2 1/4 to 4 ½ inches; weight 1 ½ to more than 3 pounds. 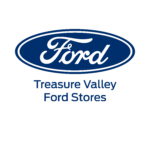 Grasses, including their roots; herbs, especially young tumbleweeds; sometimes insects. Occasionally will eat pronghorn horn sheaths. This chunky, short legged, short-eared member of the squirrel family is grizzled gray or brownish yellow above and light beige on the belly. There is a black tip on its tail. The eyes are high on the head, which makes it easy for them to see out the burrow without exposing much of the body. Offspring: Average litter 5 but range from 2 to 10. One litter per year. Parental Care: Female suckles young for about six weeks until they are ready to come out of the burrow and join the colony. 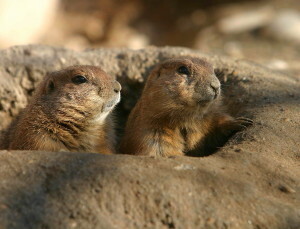 Prairie dogs are colonial animals who “farm” the grasslands that surround their burrows. They encourage grass production and limit the growth of shrubby species. Before farming and ranching competed with the prairie dogs by tilling the soil and poisoning animals, their colonies extended for miles and contained millions of individuals. Today’s colonies are rarely more than 300 acres in area. The colony (also called a “town”) is divided into “districts,” “wards,” and “family units.” Families defend their territories against other family units but cooperate with all members of the colony by giving alarm calls when predators are spotted. Unlike some prairie dogs, this species does not hibernate. It can be seen above ground any sunny day throughout the winter. It survives by becoming enormously fat in late fall. Black-tailed Prairie Dogs created huge ecosystems within the short-grass prairies. They were the principle food source for the Black-footed Ferret, which came close to extinction when prairie dog colonies were eliminated from 98% of their former range. Hawks and eagles, coyotes and bobcats fed extensively on them. Buffalo used to take dust baths in the cleared soils within the colony. Rattlesnakes, burrowing owls (whose babies in the burrow make noises that sound like rattlesnakes), turtles and numerous other animals are at home in abandoned burrows. 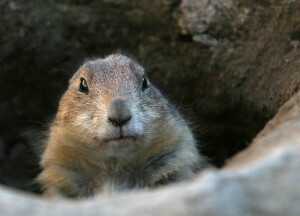 Efforts to bring back healthy prairie dog colonies will also benefit many other species. Feed on immediate area around their burrows; they bite off all plants to open up a field of view. Feed on herbs and grasses, cropping plants and keeping vegetation low. This process induces changes in vegetation, encouraging development of fast growing plants. 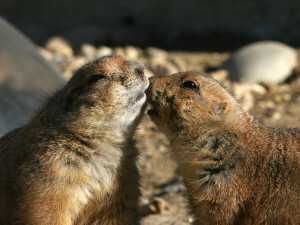 Prairie Dogs (and most squirrels) get all the water they require from the plant material they ingest. Burrows provide shelter, a place to rear young, may be surrounded by crater-shaped mounds of earth to prevent flooding. 5 different species, all in north America.